Having made the trip up from the dock bottom to the higher level via the fearsome "Dogger Bank", Seaham Harbour No. 18 joins other engines at the shed. The engine was built by Lewin of Poole in 1863 (or 1877? ), Works No. 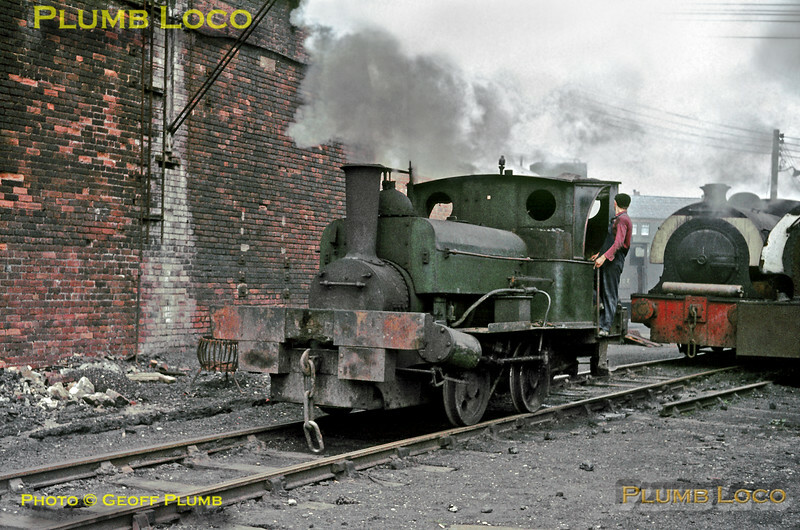 683, as a 0-4-0WT for the Londonderry Railway, later being rebuilt as a 0-4-0ST (OC). Due to its diminutive size (illustrated by the relative size of the fireman) it was able to work under the staithes at the lower level of the harbour. It remained in service until the early 1970s and has survived into preservation. Monday 2nd August 1965. Slide No. 1524.